Ah, Friday at last. Hope everyone is about to have a fabulous weekend no matter what the plan is. Lets keep our fingers crossed for good weather for the unoffcial start of the summer season. A surprise gift to me was being featured Hooked on Houses today. Julia's blog needs no introduction and has so many great features but my favorite is the celebrity home tours. Thanks so much for the mention Julia! As if that weren't enough to make me smile, today I'm over at Pepper Design Blog (a fab blog dedicated to two of my favorite topics - decor and entertaining!) answering a few questions as part of her Friday guest series. Thanks so much to Morgan for asking me to participate. And your pretty bedroom is featured on Hooked on Houses today. Good on you!!!!!!!!!!!!!!! Thanks Janice - I didn't know! I'll be checking them both out - congrats! congrats to you.....have a great weekend. I loved your interview on Pepper Design! On HGTV there is a show called Selling New York and ironically this weeks episode had 2 Brooklyn brownstones. One was a what they called a fixer upper. It was a far cry from what you had to contend with.  My question is what is the difference between a brownstone and a limestone. How fun!!! Off to check it out. Congrat's to you! You deserve the feature, you always bring so much inspiration and are so talented! Have a wonderful weekend! So, I am here through Julie's block and have already liked what I see enough that I have added you to my fav list!! I look forward to reading, and reading, and catching up!!! !